The Healthy Incentives Program, or HIP, can help you buy more locally grown fruits and vegetables. 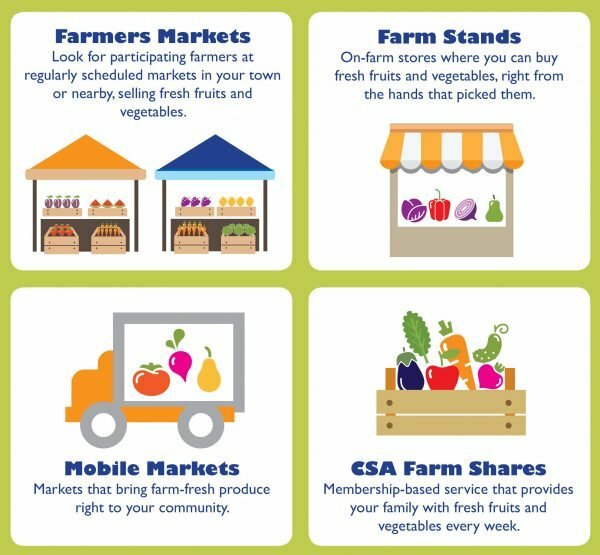 When you buy fruits and vegetables with SNAP at participating farmers’ markets, mobile markets, farm stands or Community Supported Agriculture (CSA) farm share programs, you will earn extra money on your SNAP/EBT card. If you have questions about HIP that are not covered below, or need assistance in another language, call the Project Bread Food Access Hotline at 1-800-645-8333. SNAP (formerly Food Stamp) dollars spent on eligible fruits and vegetables at participating farmers’ markets, mobile markets, farm stands and CSA farm share programs to earn HIP up to a maximum monthly benefit based on the size of your household—you can not earn HIP by shopping at a grocery store. You will need to spend SNAP on fruits and vegetables to earn HIP. The benefit is added directly back to your SNAP/EBT card and can be used towards any future SNAP eligible purchase. What is the maximum HIP benefit I can earn each month? per month on top of your regular monthly benefits. Where can I earn HIP benefits? You can earn HIP by shopping at participating farmers markets, mobile markets, farm standsand CSA farm share programs throughout the state, and buying HIP eligible fruits and vegetables. HIP benefits cannot be earned at other food stores such as supermarkets, convenience stores, however you can spend your earned HIP benefit at these locations on any future SNAP purchase. Availability of HIP at farmers’ markets and farm stands is currently limited, but is expanding rapidly—check MassGrown’s HIP map often or call Project Bread’s FoodSource Hotline at 1-800-645-8333 to find farmers’ markets, farm stands, mobile markets, and CSAs near you that can currently process HIP. What foods can I buy to earn HIP? HIP eligible foods are fresh, canned, dried and frozen fruits and vegetables without added sugar, salt, fats or oils. For example, onions, pears, broccoli, fresh herbs, canned tomatoes, applesauce, frozen berries, and dried mushrooms, are all HIP foods. Food items that do not qualify include vegetable and fruit juices (including apple cider), creamed or sauced vegetables, dried spices and herbs. Vegetable seeds and starter plants for your garden (e.g., tomato seeds or tomato plants) are also eligible for HIP. You can find a full list of HIP eligible foods here. Click here for more information on Agriculture News provided by MDAR. © 2019	Northeast Harvest All Rights Reserved. Website designed and developed by Sperling Interactive.